AKB48 has announced that the 9th annual Senbatsu General Election will be held on June 20th. 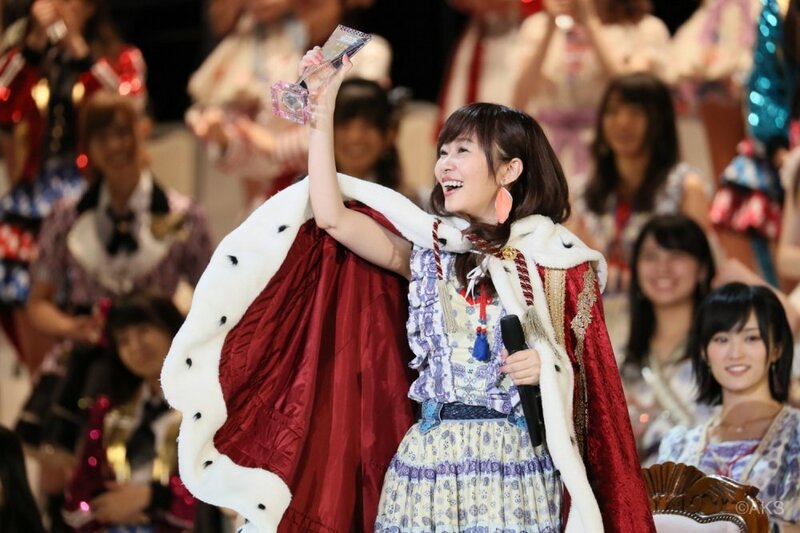 Traditionally, the Senbatsu General Election is held at an arena where the winners are revealed in a grand ceremony. This year, the group is breaking from tradition, and holding its event outdoors at the beach. Okinawa&apos;s Toyosaki Seaside Park SUN Beach will be the location of the 9th Senbatsu General Election. An outdoor concert will be held during the day, followed by the election ceremony later in the evening. Qualifying members of AKB48 and its sister groups will be able to register as candidates for the election from March 24 through March 31. On May 31, AKB48 will be releasing its currently untitled 48th single. Jurina Matsui (SKE48) and Miyawaki Sakura (HKT48 & AKB48) will be the centers of the single. People who buy the single will be able to cast a vote in the 9th Senbatsu General Election. The voting period will be between May 30 through June 16. Rino Sashihara is the only 2-time winner who is eligible for the election this year. With her popularity still high, the idol has the opportunity to become the only 3-time winner.